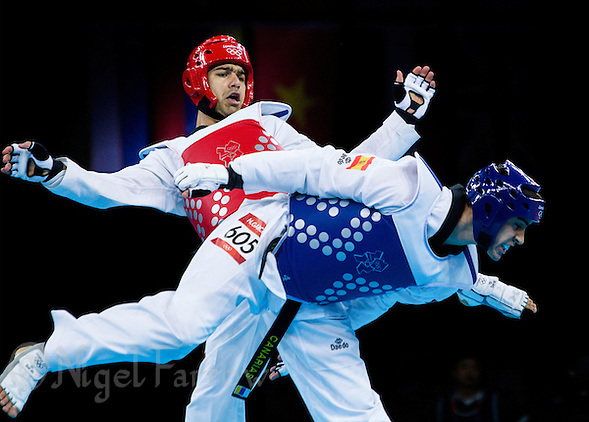 Argentina’s Sebastian Crismanich beats Afghanistan’s Nesar Ahman Bahawi and Armenia’s Arman Yeremyan before winning the men’s -80kg final against Nicolas Garcia Hemme of Spain. 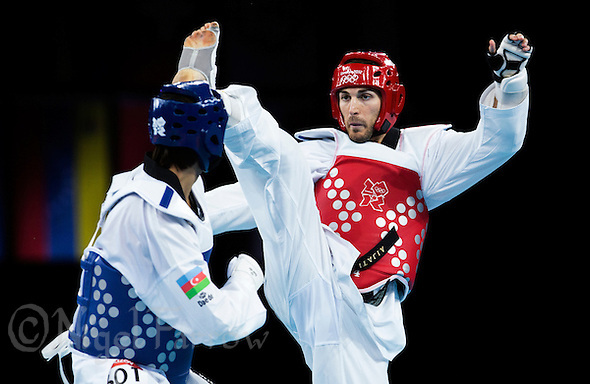 Mauro Sarmiento of Italy took Bronze Medal B after beating Bahawi and Lutalo Muhammad of Great Britain wins the Bronze Medal A contest after coming through the repechage rounds. 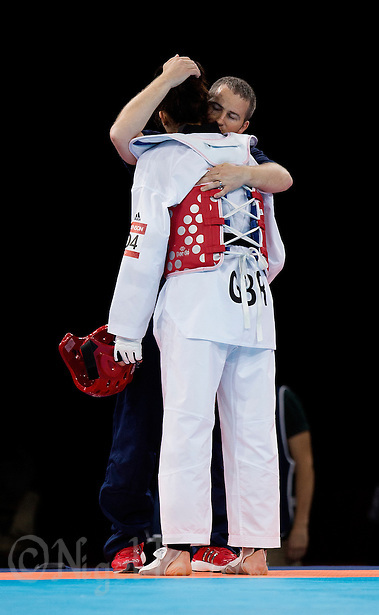 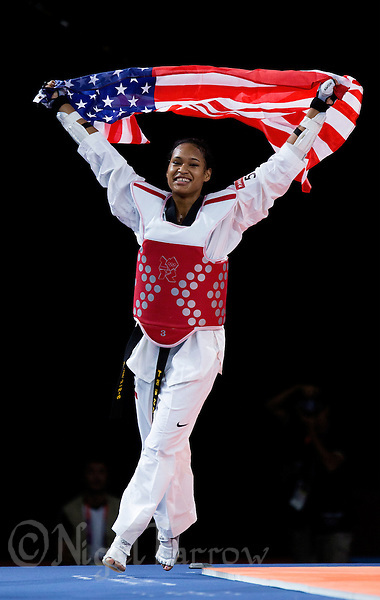 Hwang Kyung-Seon of South Korea wins the women’s -67kg gold medal against Nur Tatar of Turkey. 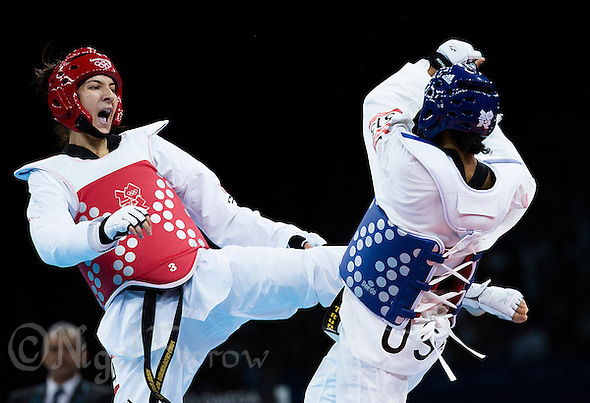 Helena Fromm of Germany beat Carmen Marton of Australia in the Bronze Medal B contest with Paige McPherson of the USA winning her Bronze Medal A match against Franka Anic of Slovenia. 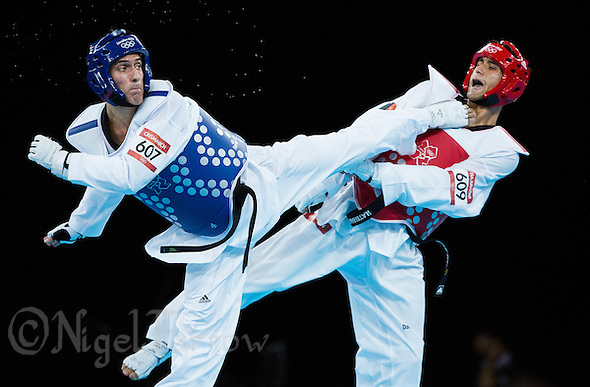 Posted on Friday, August 10th, 2012 at 11:53 pm. 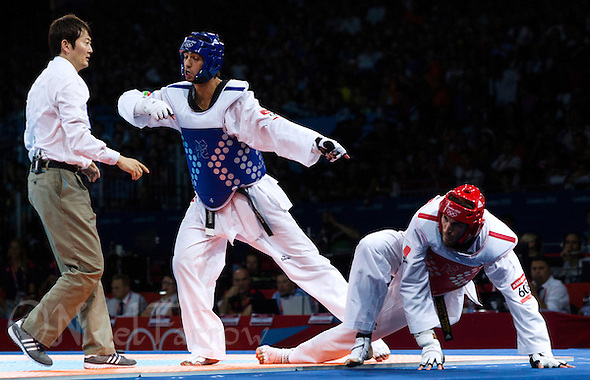 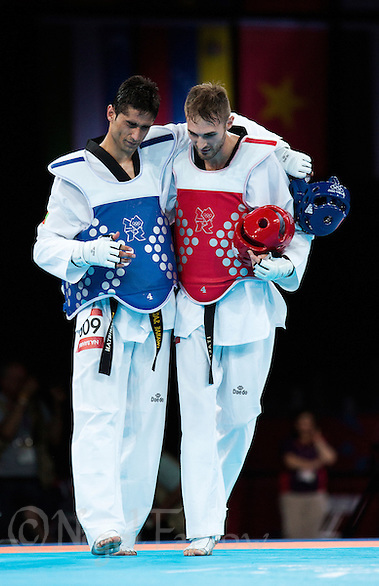 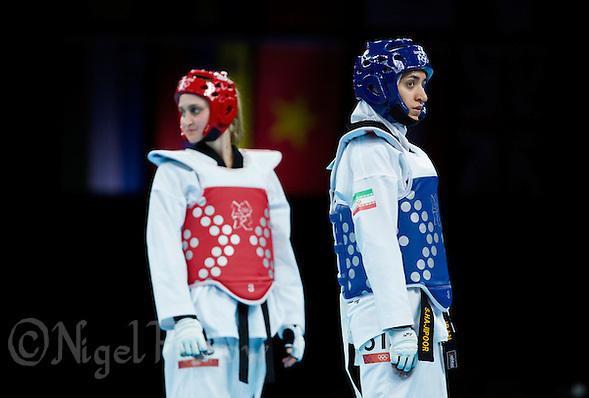 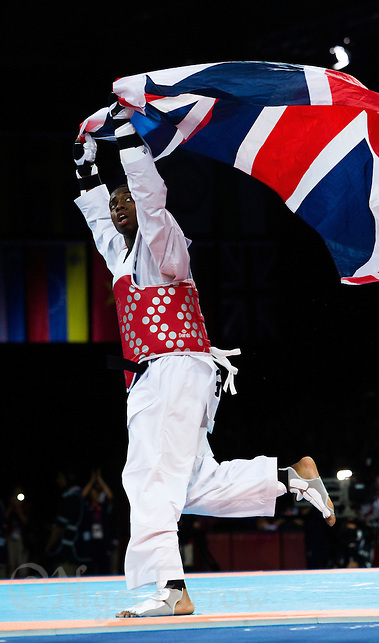 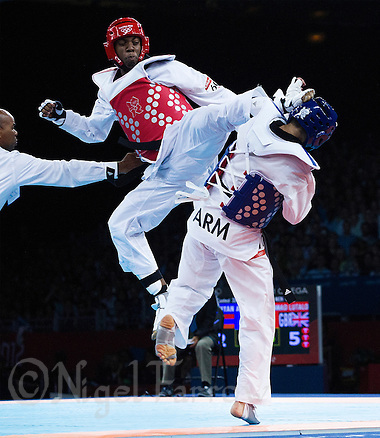 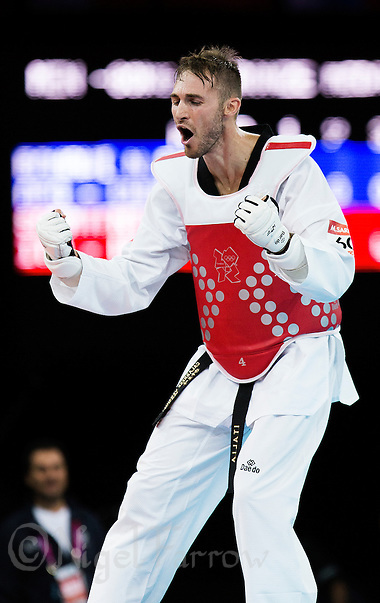 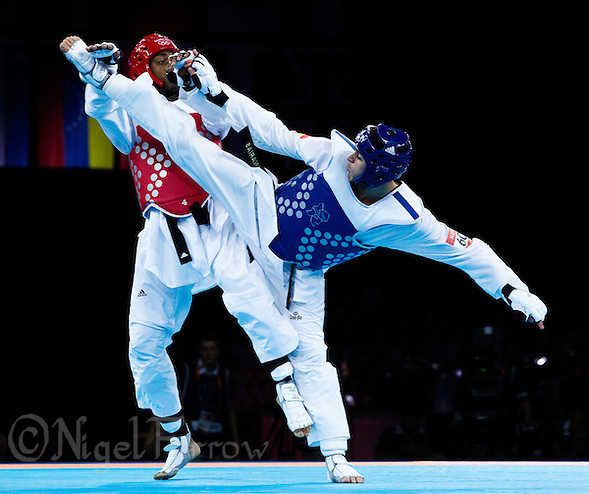 | Categories : Major Events, Martial Arts, News, Olympic Games, Recent, Sport, Taekwondo | Tags : carmen marton, franka anic, helena fromm, hwang kyung-seon, london 2012, london 2012 olympic games, lutalo muhammad, martial arts, mauro sarmiento, nesar bahawi, nicolas garcia hemme, nur tatar, olympic games, olympics, paige mcpherson, ramin azizov, sarah stevenson, sebastian crismanich, sousan hajipourgoli, sport, steve jennings, taekwondo, yousef karami.